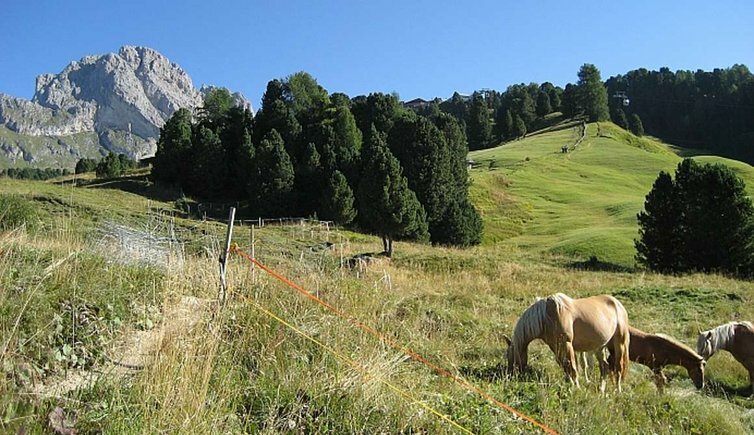 Saddle your horse and explore Val Gardena’s mountain world on the horseback - a very special way of sightseeing. 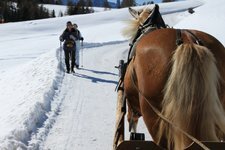 Discovering the Val Gardena valley on the horseback is a great experience both for adults and kids. Great scenery for a day trip on the horseback. There are many ideal places for a break with a great view. Uphill and downhill, for an hour or two, spending some time with your beloved ones as well as your four-legged friend… sounds good, doesn’t it? And those who are looking for a longer trip might go for a day tour. A full-day journey into the mountains, passing by lovely Alpine pastures and cantering across colourful woodlands… there is a hardly a region that better suits horse riding than the mountain world of the Val Gardena valley.